MontyC here and I've got a right little gem for you this week here on Planet Make Up For Dolls! 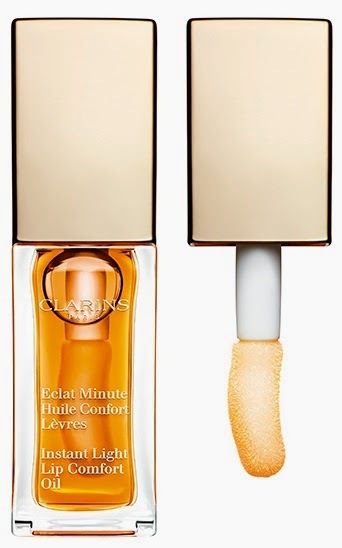 Take a look at this - it's the Clarins Instant Light Lip Comfort Oil, the newest addition to the Instant Light range (I'm never without the amazing Instant Light Lip Perfector) and what a fantastic addition it is too. This was released as part of the Garden Escape (Spring 2015) Collection from Clarins a couple of months ago. This has to be one of the nicest lip products I've ever used. Ever. Even though it's an oil, it's not sticky at all - I was expecting a throwback to the oily gloopy lipglosses of the '80s, for some reason, but it's not that at all. 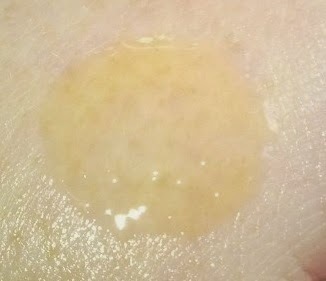 Application is by the most comfortable applicator ever invented. This oil not only feels beautifully soft on the lips but is also very nourishing and sinks in nicely. It can be worn by itself or under lipstick. It comes in two colours - this and a gorgeous raspberry pink. It looks rather orange in the bottle but don't let that put you off, the colour doesn't transfer to the lips, they're just left looking glossy and healthy.